Looking through old film school notes I came across this proposal I wrote dated February 7, 2007. It was from my producing class where we had to come up with the idea for a film to pitch. Not surprisingly, especially because I was working on Elliot at the time, I came up with the idea for a mockumentary centred around a film festival. The idea clearly still needed some polishing, but there are a few gems in the premise that I'm still entertained by. Have a look at what I submitted. Poster Line: Now Accepting Submissions. Film Fest is a feature length mockumentary about a man named Charlie taking control of an elaborate and outlandish film festival, created by his dead Hollywood producing dad, just one year after its disastrous debut. With the festival in shambles and a town full of irritated locals, Charlie picks up where his dad left off (with a documentary crew in tow) and works with an assembled team of mismatched experts to revamp Silver Springs, BC from the ruins of a failed fest, to a celebrity saturated, respected and acclaimed celluloid circus. For the sake of his father's legacy and his own ambition to make the festival work, Charlie must confront the death of his father head on as he uncovers the affects the festival has had on the town and the previous attendees. Film Fest is an offbeat character piece about the best and worst aspects of pop culture and the entertainment industry, while paying homage to the people and drama, in the one place where everything comes to fruition; the film festival. 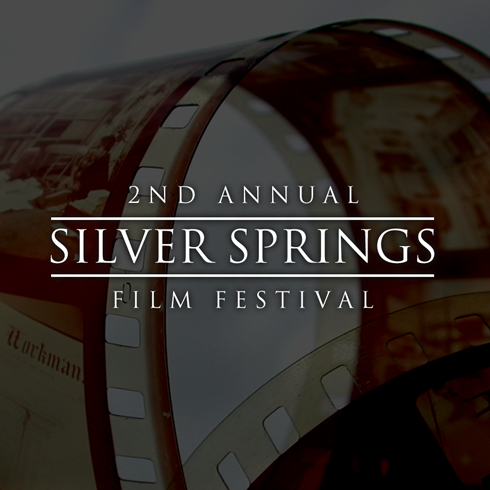 The Silver Springs Film Festival opened with much excitement, but failed due to the excessive and unbelievable upgrades made by Warner Garber, the founder. Fast forward one year. Warner Garber, while talking about his new festival upgrades for the 2nd Silver Springs Fest, dies during an interview with a documentary film crew. In his eighties, he was losing his mind, but to everyone else it seemed that he embodied the grand imagination of a true eccentric. Charlie, Warner’s son, knew how passionate his dad was about the fest. With no real direction of his own, he adopts his dad‘s position as head organizer of the festival, along with the team of assembled industry experts, the documentary crew and the shambles of the failed festival from a year earlier. Charlie and his team quickly move out to Silver Springs, BC and set up camp. Initially the town’s reception is cold based on the previous treatment by the festival organizers, but monetary persuasion and mingling gets things underway. Charlie frequently confides in the camera in response to his indecision, especially when conflict with his team arises. Meanwhile, the festival undergoes massive correction, altering Warner Garber’s original, but hilariously absurd, vision. Zeppelins, wild animals, underwater theatre’s and such, are modified to preserve some of the insanity while adding much needed practicality. Various comedic meetings and character clashes bring us to this point. The following spring the festival is really coming together. 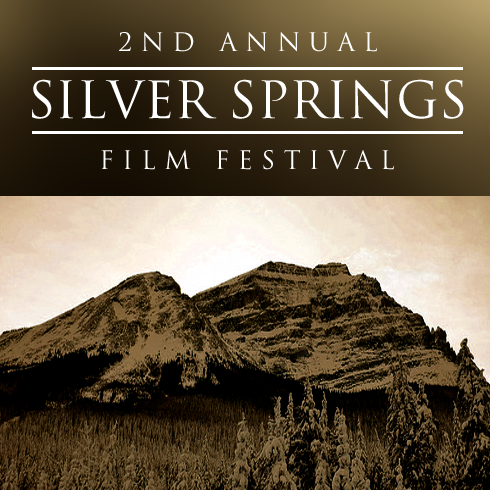 The small town of Silver Springs, BC, which is nestled along the Rockies, is undergoing upgrades (with the help of some of Warner Garber’s old rich friends, and the absurd blackmail the team has acquired about them). Charlie is still at the helm and we see clips from news spots, commercials, celebrity endorsements, and the towns people reacting to the revamped fest. There is initial doubt about the festivals reach, and comparative draw to other major venues, but soon the submissions, both big and small, start coming in and it seems the festival has real potential. The unique festival concept, which teeters on the edge of being a pop culture amusement park, garners outside attention. For the last half of the film, the festival is officially in swing. Charlie has done a remarkable job, but he underestimates the industry heavyweights and celebs as the town, almost instantly, becomes overrun by them. This is where the mockumentary reaches it’s comedic climax as the numerous groups and their attached films premiere. We are witness to celebrity reactions, critics feedback, over the top art flicks, studio head clashes, Warner Garber’s old friends returning to take some claim of the success, the townsfolk rising up, Charlie coming to terms with his father’s death and the modification of his dream, and a mishmash of regurgitated pop culture references by anyone and everyone in the small town. The event takes a back seat here, and it’s all about the people at this point. The various filmmakers and celebrities that appear for the festival have delicate supporting roles. Their characters really give shape to the festival, but none of them are around for too long to be of major consequence. Charlie remains central, with reference to Warner’s contribution and the team which has made the festival possible. In the conclusion, we see the chaos melt off of Silver Springs and Charlie personally (and perhaps seriously for the first time) revisit the death of his dad. Charlie sits in a room with a view of the town behind him and is surrounded by the countless papers and sketches his father made. In a spontaneous moment he rushes to the roof of the building and throws the papers off, which end up flying across the town. We then see his team commenting that he’s lost his mind just like his father, and close on a group of townspeople sneering at Charlie as copies of the original festival idea shower the town. Charlie is left feeling satisfied with his decision, while reflecting on the fact that were it not for his father’s over the top vision, he wouldn’t be where he is. Charlie Garber - A 35yr old struggling actor. He’s ambitious, grounded; your typical nice guy. Still he tends to find himself in the middle of other people’s mistakes. Despite his rocky past, he shines and finds direction in pulling his father’s film festival together. Warner Garber - He’s flaky and off his rocker, but as an elaborate dreamer and a former Hollywood producer heavyweight he has the makings of a true eccentric. Sadly, he dies pretty quick, but lives on in old footage and his festival plans that are shown throughout the film. Nancy Monroe - She’s a designer and conceptualist in her late twenties. Charlie calls on her to help establish a theme for the festival, and her bubbly personality and high energy are infectious. Nancy is also aware of the power she has over Charlie and the sexual tension between them. Kenneth Heinsman - He’s a staunch 60yr old money man, and although he’s great at running numbers, his elitist homosexual attitude creates conflict. He always dreamed of being a celebrity stylist, but has no skill in this area. Still it hasn’t kept him from trying, and throwing in bad fashion advice wherever he can. Emma Chang - A 40yr old publicist, Emma is intense, but wickedly efficient. She has an incredible talent for getting people to open up and therefore, has a valuable repertoire of industry secrets. Many of which are used to ‘encourage’ Warner Garber’s old rich friends to share some money. Sam Murphy - A local of Silver Springs, he assists in acclimatizing the town to the fest. He doesn’t really understand the industry jargon, and so is easily relatable to outsiders. He puts his reputation on the line to insist that the fest is good news for the town. Blake Allen - He’s Charlie’s assistant, and despite his good nature, he is often overwhelmed by the things Charlie neglects. He is also on the frontline with Sam in dealing with the demands of the townspeople. Norton Gash - He’s a virtually unknown director, but his film Abundance becomes a breakout success at the festival. Gash is a nervous and jittery man, and the public attention causes him grief despite all the praise. He turns to Charlie for solace. Vivian Terracini - She’s the rising star from Abundance and embodies the worst aspects of modern celebrity. Adrian Ulrich - He’s the rising star from Abundance and embodies the best aspects of modern celebrity. Ed Fink - He was an old friend of Warner Garber’s, and owns his own production studio. As a businessman, he’s come to the fest looking to acquire distribution rights and give some unknowns their big breaks. Film Fest should have wide comedic appeal between men and women aged 14 to whatever. The target is those who are educated or interested in pop culture and the entertainment industry. The tone of the film is light and snappy. Things move relatively quickly between characters and events. Everything is shot like a documentary, but there are contrasting moments. For instance, when the festival starts and things are hectic, the documentary style can capture the manic pace well and put the audience right in the event. At the same time, in serious moments or screenings, or conversations, the look can be focused and clean (fly on the wall even). Overall, the look is to be vibrant, colourful, and polished. It should complement the diversity and the energy that a festival represents and the over-the-top world of film and the characters within it. Possible ideas for the website include sticking with the whole mockumentary theme and promoting the film as though the festival is really taking place. There will be bios of the numerous characters, additional clips from the documentary in production, and examples of Warner Garber’s original and over-the-top vision for the festival. The site could also take the Corner Gas approach, and provide interactive access to the fake festival town of Silver Springs, BC. Site involvement could even go as far as holding an online short film festival, where users could upload and share their work. The entries would be treated as submissions to the Silver Springs Fest and viewers could vote on their favourites. I think Film Fest lends itself to a wide amount of interactivity with its viewers, and the website would certainly reflect this.